But, apart from providing material help and hospitality, Khetri is important in his life for other reasons too. It is from Pandit Narayandas of Khetri that he learnt the maha-bhashya (the grand critique) of Panini Sutra. He reverently called the Pandit his "Professor". Moreover, he also discussed scriptures with two other scholars of Khetri, namely Shankarlal and Sundarlal. Pandit Sankarlal was to become a disciple of Swamiji. It is to this Pandit Sankarlal that he wrote a letter from Seth Ramdas Chhabildas's home in Bombay on 20 September 1892, some eight months before leaving for America. One may note that subsequent to writing this letter he once again visited Khetri. In this letter, he made some unusually terse comments on the 'dearth of those sciences which are the results of observation and generalization.' These comments and the general viewpoint expressed in the letter are strangely at variance with what he would preach just a few months later in America. Let us examine what Swamiji has to say in this letter about the characteristics of "Hindu" science or the lack of it. Now I would tell you something else. The Hindu mind was ever deductive and never synthetic or inductive. In all our philosophies, we always find hair-splitting arguments, taking for granted some general proposition, but the proposition itself may be as childish as possible. Nobody ever asked or searched the truth of these general propositions. Therefore, independent thought we have none to speak of, and hence the dearth of those sciences which are theresults of observation and generalization. Before proceeding any further, we would note that although Vivekananda is here apparently towing the lines propagated by Vidyasagar, Akshay Kumar Datta and early Bankim Chandra, there are substantial differences between the two viewpoints. According to Vivekananda, all our philosophies suffer from the alleged abhorrence of experiment and observation. Both recent and Vivekananda's contemporary research point to the fact that, if anything, this idea is one-dimensional and oversimplified. Vivekananda's classmate at the Scottish Church College and the doyen of Indian philosophy, Brajendranath Seal very clearly stated: 'The Sankhya-Patanjali system accounts for the Universe on principles of cosmic evolution; the Vaisesika-Nyaya lays down the methodology of science, and elaborates the concepts of mechanics, physics and chemistry. The Vedanta, Purva-Mimamsa, and in a less degree the Bauddha, the Jaina, and the Charvaka systems make incidental contributions on points of specific interest, but their main value in this regard is critical and negative.' Other scholars have at various times, in their own way, pointed to the difference between the various strands of Indian philosophies so far as the development of empirical ideas is concerned. Simon Blackburn notes that 'Nyaya generally tends towards a realist metaphysics, and anticipated many later western concerns, for instance with the problem of distinguishing true from misleading perceptions, with induction, and the nature of knowledge via testimony.' Recalling the advice offered by Javali, 'a sceptical pundit', to Ram ('Follow what is within your experience and do not trouble yourself with what lies beyond the province of human experience'), Amartya Sen observes: 'This observational focus is, of course, in line with the materialism of Lokayata and the Carvaka system.' He goes even further, showing that 'the rationale of the Lokayata approach is quite close to a methodological point that Francis Bacon would make with compelling clarity in 1605 in his treatise The Advancement of Learning.' Indeed, the flowering of Indian science in the Gupta period owed much to this 'tradition of scepticism and questioning.' Recently Prof. Ramkrishna Bhattacharya, while calling Charvaka 'the most uncompromising materialist school of philosophy in ancient India', has also demonstrated that 'there is enough evidence to show that the Cārvāka-s ... did admit inference in sofar as it was grounded in perception.' He also establishes 'the fact that there existed a pre-Cārvāka school of materialism in India.' How can then one so sweepingly comment that 'independent thought we have none to speak of, and hence the dearth of those sciences which are the results of observation and generalization' ? Even if we leave out everything else, was not Indian medicine clearly a triumph of this empirical approach? 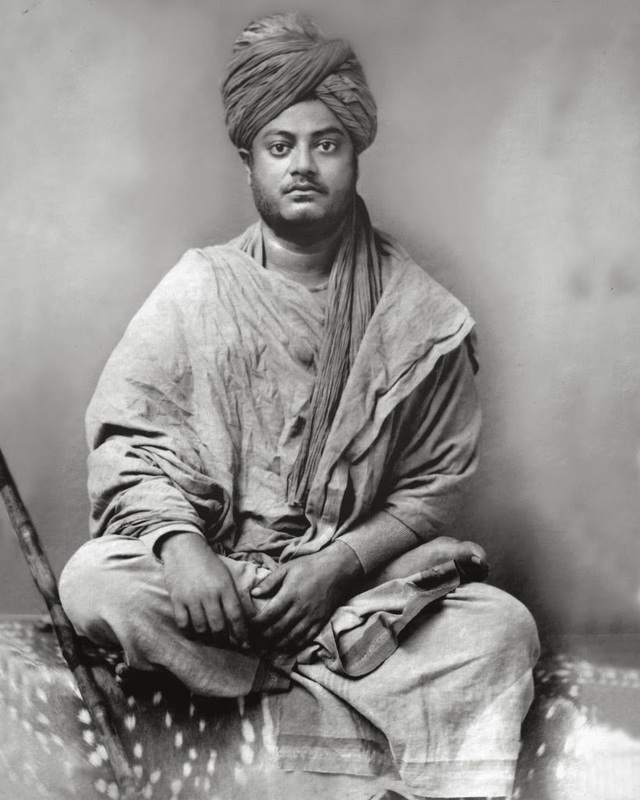 As a matter of fact, this comment of Vivekananda's had so embarrassed the editor of the volume that in a footnote he felt compelled to inform that 'In later days he [Vivekananda] acknowledged that India gave birth to many sciences, though they developed elsewhere.' We shall presently come to what the 'changed' Vivekananda preached, but here it should be noted that although he has often made contradictory remarks on many things (for example, on the utility or otherwise of the caste system), such an editorial attempt to draw attention to his 'later' change of opinion is rare indeed. One does, however, appreciate the editor's predicament. First of all, here is a great man known for his super-human intellect and memory and yet making a plain faux pas. This is all the more surprising because nine years prior to this letter Akshay Kumar Datta had presented in the celebrated introduction to the second volume of his Bharatbarshiya Upasak Sampradaya a detailed and differential account of the Indian philosophies from the Baconian standpoint. Even earlier, in 1873 Bankim Chandra in his essay 'The Study of Indian Philosophy'  had analysed the successes and the lapses of the Indian philosopher-scientists. How could Vivekananda miss these eminent analyses? Secondly, the way Vivekananda chastises 'Hindu' science in a global manner demolishes his Hindu-nationalist image completely. On the face of it, he was following Vidyasagar's dictum that 'the Samkhya and Vedanta are false systems of philosophy'. This cannot but embarrass a missionary editor. Strangely enough, the Bengali edition of the works of Swami Vivekananda, while incorporating a translation of this letter, does not carry this editorial caveat. From two causes: The tremendous heat of the climate forcing us to love rest and contemplation better than activity, and the Brahmins as priests never undertaking journeys or voyages to distant lands. There were voyages and people who travelled far; but they were almost always traders, i.e., people for whom priestcraft and their own sole love for gain had taken away all capacity for intellectual development. So their observations, instead of adding to the store of human knowledge, rather degenerated it. For, their observations were bad, and their accounts exaggerated and tortured into fanatastical shapes, until they passed all recognition. In short, oppressive summer heat, circumscribed priests and the outgoing traders' "sole love for gain" -- these are the factors that stood in the way of the development of empirical science in India. It is because of these factors that the tired Hindu mind became idle and estranged from reality on the one hand and crassly this-worldly on the other. And yet, quite a few hypotheses trying to explain the decline of Indian science were ready at hand. In 1883, Datta had lamented that because of the absence of an empiricist philosopher like Bacon or a positivist like Comte, the great achievements of Kapila or Kanada could not "grow, blossom and fructify". Bankim Chandra in 1873, while agreeing that excessive reliance on deductive logic was at the root of the decay, had accused theology as being chiefly responsible for this. We have seen how the Baconian Vidyasagar in 1853 had denounced Sankhya and Vedanta as 'false systems of philosophy'. Another illustrious contemporary of Vivekananda's, Prafulla Chandra Ray had later diagnosed that Sankara's advaitabad on the philosophical side and the post-Buddha casteism on the social side were among the major factors responsible for the decline of the once-glorious Indian science. None of these thinkers had condemned 'Hindu' philosophies en masse for this decline. Vivekananda's difficulty lay elsewhere. It was impossible for him to critically examine the above factors for ideological reasons. Hence the either/or approach. Just consider: 1) Being a follower of the anti-Buddha Sankaracharya who preached advaitabad, how could Vivekananda denounce mayavad as one of the harmful influences? 2) Being a theist who embraced ritualistic deity-worship, how could he accept, even examine, the materialistic, empirical logical method of the Charvakas based on experiment? 3) Being a religious leader for whom theology formed the inviolable basis for all argument, how could he, like Bankim, castigate an excess of theology as detrimental to the growth of empirical thinking? 4) Being a Hindu nationalist who considered the pre-Buddha Indian social system ideal, he always prevaricated in denouncing the caste system. In one place he would say that by stultifying competition, this system has finished the Hindus. In another place he would say with equal confidence that by stultifying competition, this system had helped sustain the Hindus through the vicissitudes of history. Unable for ideological reasons to consider any of the above hypotheses as the causative factors for the decline of Indian science, his entire ire fell on the narrow-minded priests. This ire is entirely justified. However, without a mention of the chief philosophical and social reasons, this castigation of the priests alone smacks of a kind of escapism. In the chain of reasons cited by Vivekananda for India's failure in science, the weakest link is the traders' 'love for gain'. For it is an established fact of history of science that it was the traders' love for gain that had promoted science everywhere -- in Egypt, in China, in Europe, in the Arab countries, even in Buddhist India. The editor of the Letters of Swami Vivekananda has correctly reminded us that Vivekananda had changed his opinion expressed in this letter of 1892. The fact is, he took the equally uncritical path to land at the opposite pole. A few examples will suffice. In 1896 he opined that the 'Hindu philosophical doctrines' are in wonderful conformity with 'all the discoveries of modern science'; so much so that 'whatever the lacunae, they are all on the side of modern science'. He went on to assert: 'Modern scientists are gradually coming round to agreeing with the ancient sages and to the extent that the scientists agree with the ancient sages, there is no problem.' And yet, just four years before this, he believed that 'independent thought we have none to speak of, and hence the dearth of those sciences which are the results of observation and generalization.' One wonders through what research, through the discovery of what new facts did he arrive at this diametrically opposite view? The explanation is sometimes offered that he was speaking to the West and eulogising India's past was a sine qua non for a nationalist like him. If this be true, then it must be accepted that the truth-content of his statements is virtually nil; what mattered was the immediate propaganda-value. Was he not too great a thinker to be belittled thus? To this, Jogesh Chandra adds a footnote: 'Utpal has beautifully commented that "If the earth must fall, where would it fall? Downwards? But what is meant by downwards? Pratiyogishchapekshadhah. There is space on all sides of the earth.' That the notions 'up', 'down' etc. are all relative is now known to everyone thanks to the popular books on the theory of relativity; but the clarity with which this apparently strange concept was put forward eight hundred years ago cannot fail to elicit admiration. As an Indian nationalist, Jogeshchandra was naturally proud of the great achievements of Varahamihira, Acharya Aryabhata and Bhaskaracharya. But at the same time he took pains to clarify that to speculate on some force akin to gravitation and to prove its working scientifically -- which is what Newton did -- are entirely different things. In a footnote he added in rather acidic terms that "some dilettantes" cite Bhaskarcharya's explanation ('It appears to us that the body is falling; whereas in point of fact, it is being attracted by the earth') to 'belittle Newton's discovery. These people must know, there's a hell-and-heaven difference between the two.' One might mention in passing that later Meghnad Saha was to elaborate on this in much more aggressive terms. The difference between Jogesh Chandra and Vivekananda is thus obvious. The former was a man of 'hard' science; no amount of effusive nationalism could make him forget scientific methodology. On the other hand, Vivekananda was primarily a man of theology and philosophy. His overriding commitment was not to scientific methodology but to ideological expediency. Thus, while lecturing in the West, his patriotism carried him away so much that he often failed to do justice to facts of science and history. That is why he could jump from one pole to the other and be an extremist at both the poles. Rajagopal Chattopadhyay, Myth-Mukto Vivekananda (Vivekananda minus myth), Kolkata, 1998, pp. 73-78. Translation mine. Ashish Lahiri, based in West Bengal, is a well known science communicator and a publicist promoting rationalism and scientific temper. This has been one of the most simple and ecstatic collection of excerpts from the claws of history. Love the way Swami Vivekananda Quotes have been grounded along the article. Great Post!